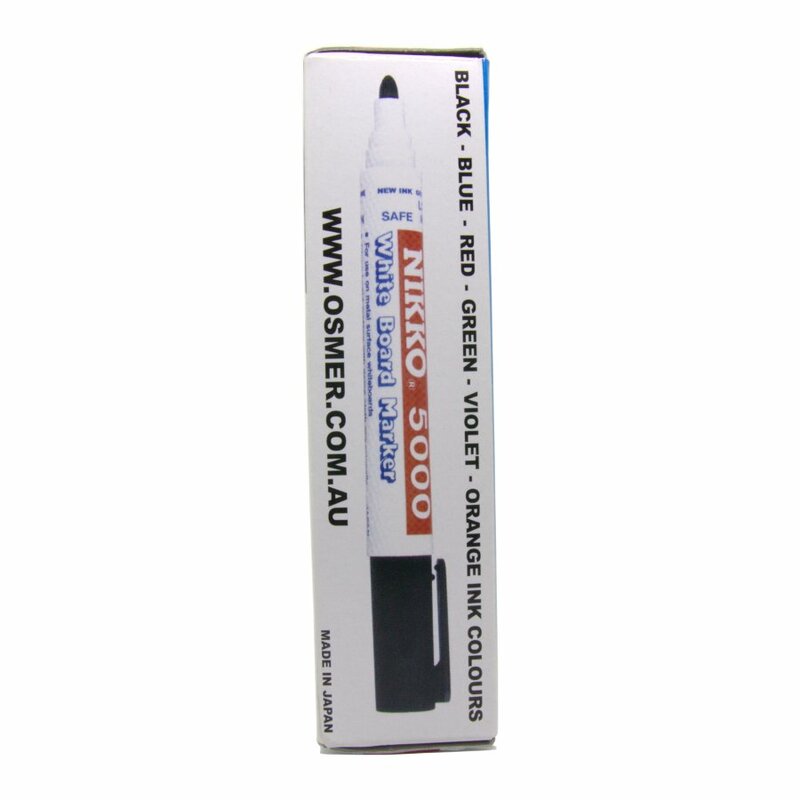 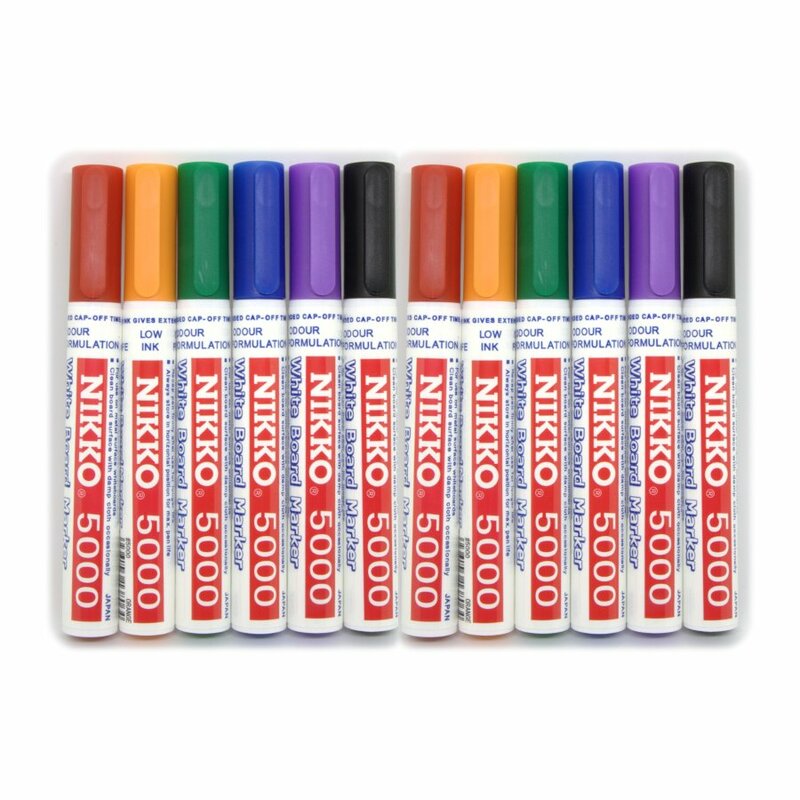 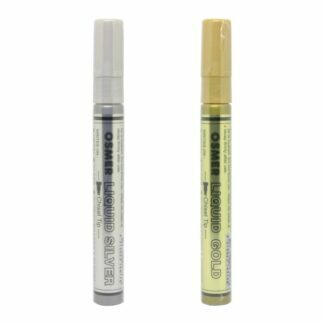 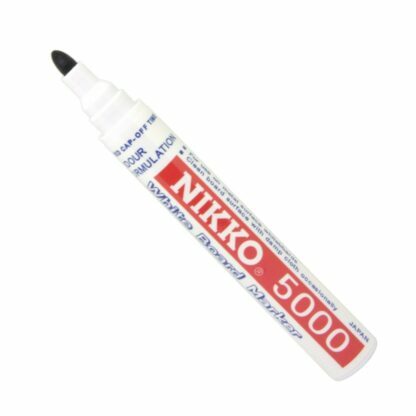 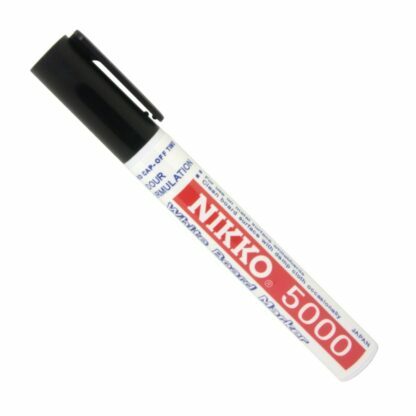 Nikko® 5000 dry erase whiteboard markers are a non toxic and low odour marker that is great to use inside the windowless office, car or home. 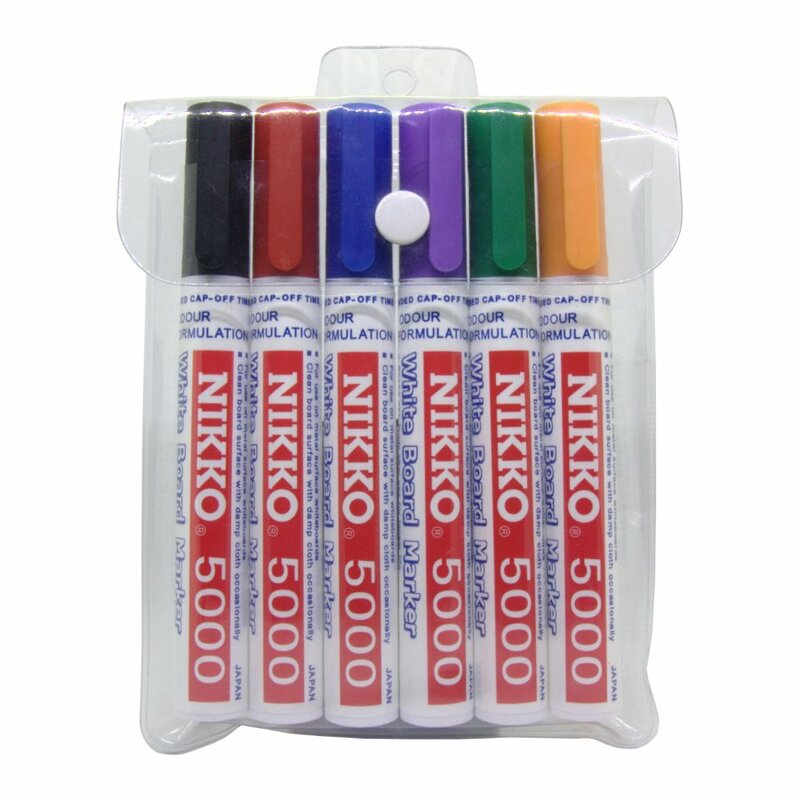 They come in a hard wearing, acrylic fiber round bullet point tip that won’t dry out if left uncapped for two days. 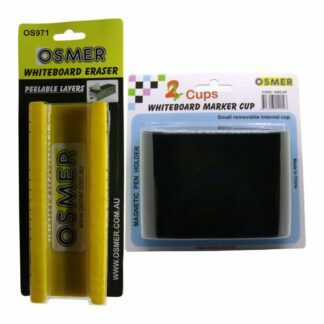 An advantage to using these whiteboard markers over other brands, is that there is no need to clean the board with any chemical board cleaner. 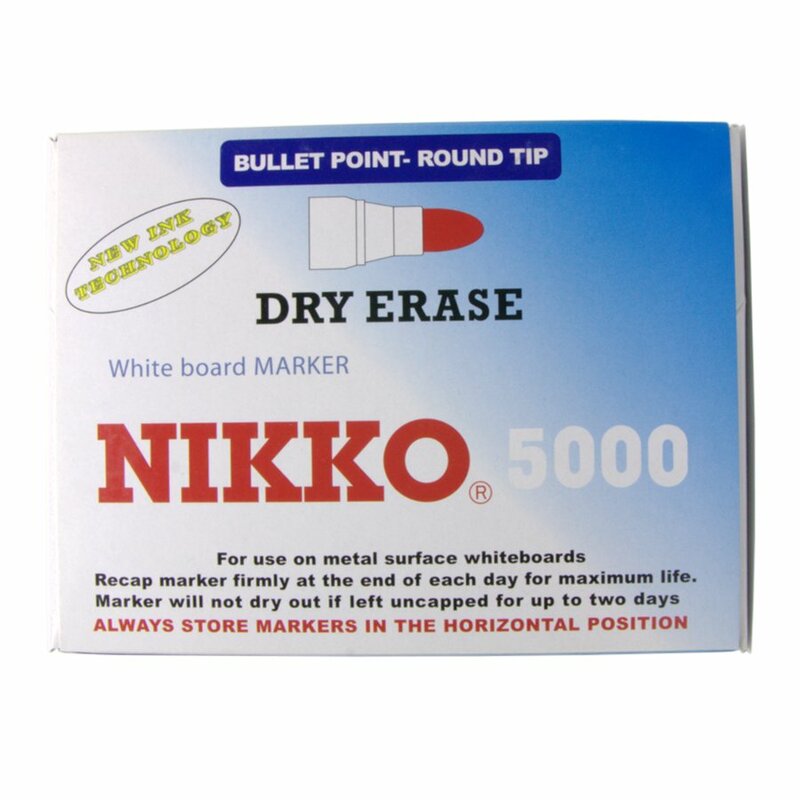 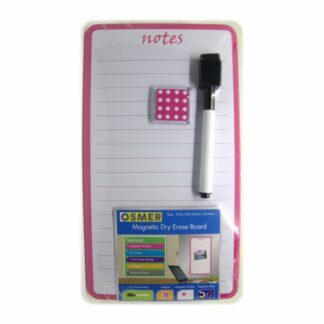 Just wipe the board occasionally with a damp cloth to remove any non toxic residue. 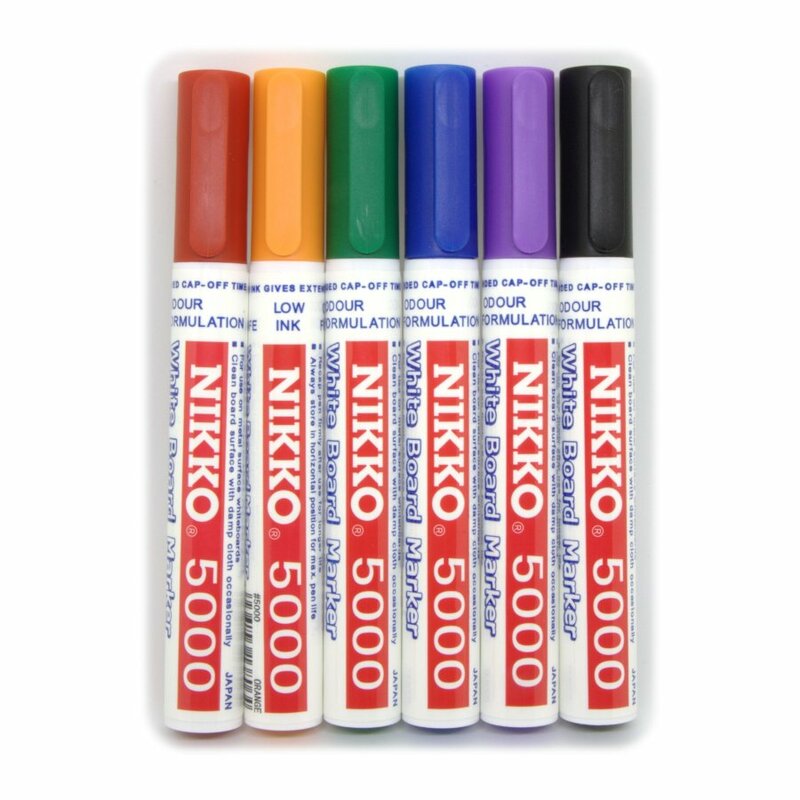 Colours: black, blue, green, orange, red and violet. 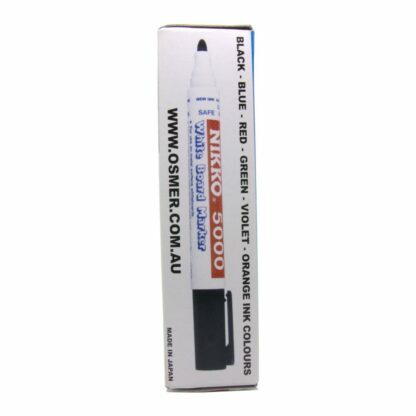 Individual colours can be ordered upon request. 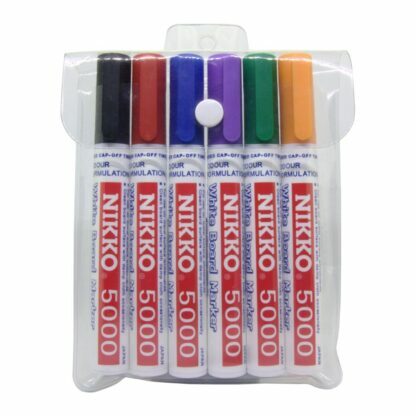 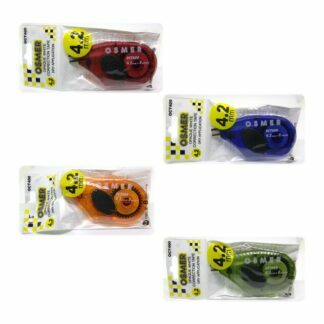 6 includes one of each colour in a clear vinyl case. 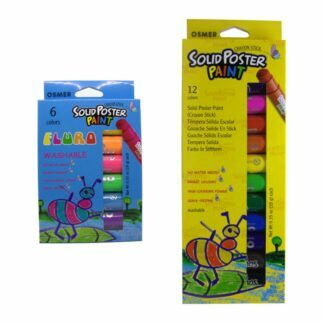 12 includes two of each colour with the box flat packed. 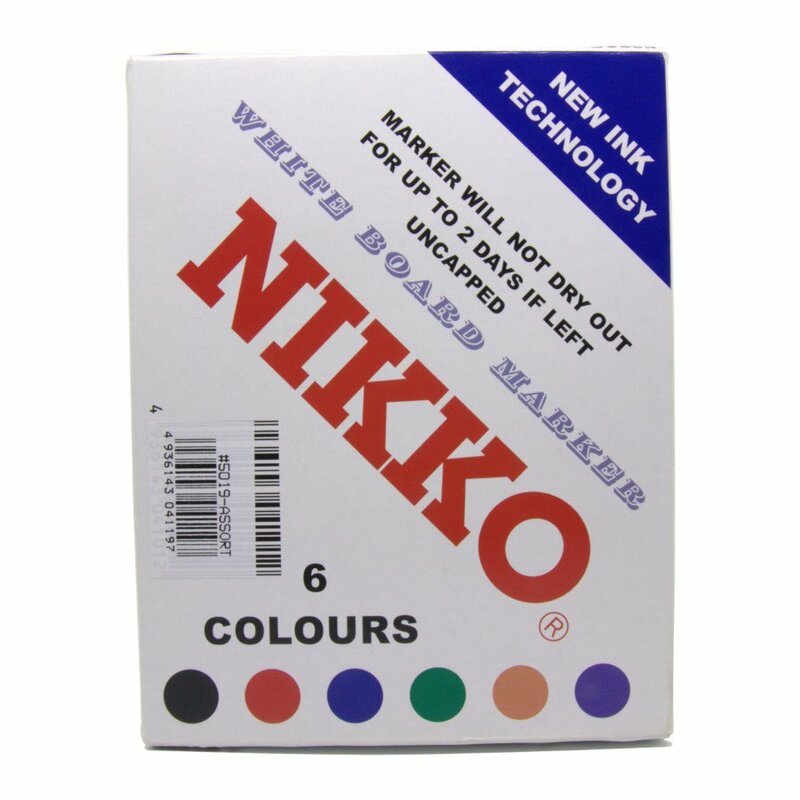 Clean board with only a damp cloth – no chemical cleaner required. Marker will not dry out if left uncapped for two days. 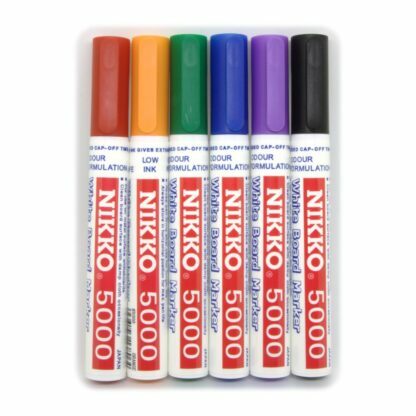 Always store markers in horizontal position.